Move-In Ready! 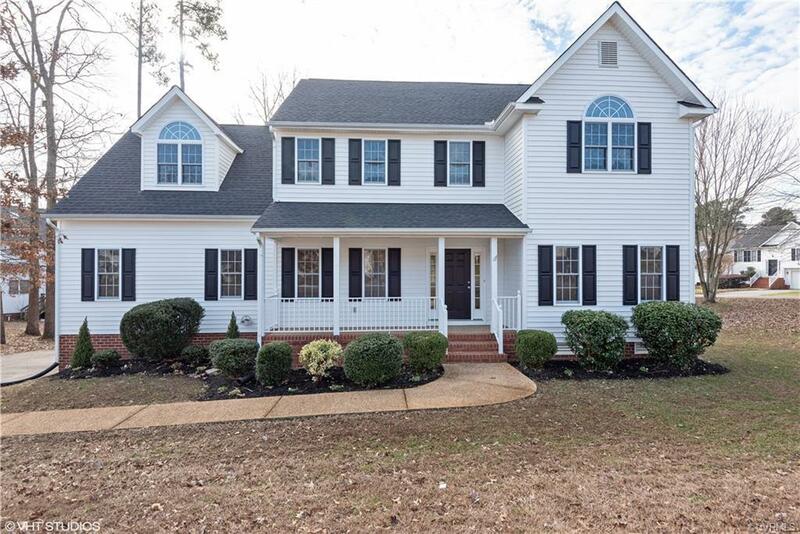 This Gorgeous home has so much to offer! NEW Roof, NEW Dual Zoned HVAC, NEW Flooring, NEW Lighting and New Paint Throughout. The Beautiful Kitchen features NEW Granite Counter Tops w/Breakfast Bar, NEW Stainless Appliances (Smooth Top Stove, Dishwasher, Microwave), Pantry, and Breakfast Nook that overlooks the back yard. The Large Family Room with Gas Logs offers French Doors that lead outside to the Deck-Great Floor Plan for entertaining. The first floor also offers a Formal Dining Room with Beautiful Hardwood Floors, a Half Bath and an Office/Formal Living Room. You will love the Master Bedroom...TWO Large Walk-In Closets, Vaulted Ceiling, Ceiling Fan and a Full Bath with Soaking Tub, Separate Shower, Vaulted Ceiling and NEW Dual Sink Vanity. Upstairs you will also find 3 additional Bedrooms, another Full Bath w/NEW Dual Sink Vanity & Linen Closet, Large Laundry Room, and a Walk Up Attic with Ample Storage. Other Features include Paved Driveway, 2 Car Garage w/Direct Entry, Front Porch, Low Maintenance Vinyl Siding, NEW Toilets, and NEW Bathroom Faucets & Mirrors. Don't let this one pass you by. Call Today!!! This is a Fannie Mae HomePath Property.